Do you need First Aid training for your school to meet compulsory staff training requirements? Our First Aid courses and training can help you out. 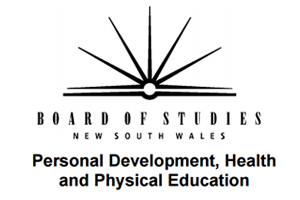 We offer the following courses and training to all schools around Port Macquarie, Taree and across the Mid North Coast of NSW. These course can help you meet your staff’s annual and bi-annual school CPR and anaphylaxis training requirements. Our courses are Nationally Recognised under the Australian Qualification Framework. This means that your school staff will leave our courses with qualifications that are recognised across Australia. We offer the Provide First Aid course to schools as part of the PDHPE HSC Preliminary Course – First Aid Option. As part of this, students get access to specialist First Aid trainers with real life experience who know how to engage students in this subject area. With our courses, students also get access to the complete range of first aid training equipment including defibrillators, splints, asthma and EpiPen devices to name a few, which all provide a rich learning experience. Not only that, students leave our courses with a nationally recognised qualification which they can use when entering the workforce. If you would like more information about organising a course or to even book a course for your school, fill out the form below and we will contact you to discuss your options. Or if you like, pick up the phone and call us on (02) 6516 0512.